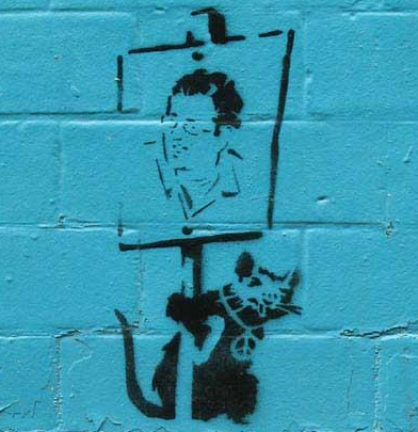 Though nobody has seen his actual face, infamous graffiti artist Banksy has in fact produced a number of ‘self-portraits’. The one above, sold in 2009, fetched what, at the time, was the artist’s personal record. 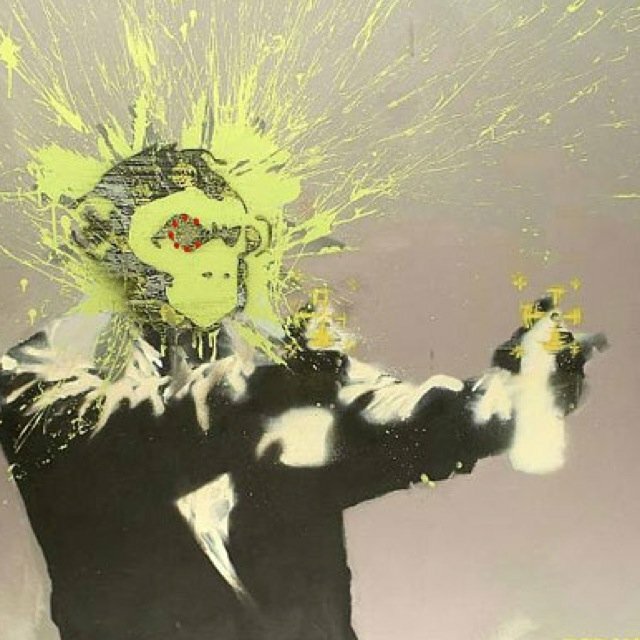 When a series of stolen shots purportedly picturing the artist in Jamaica in 2004 were leaked online, several newspapers and blogs gloated over the unmasking of Banksy. Some time later, the graffiti below appeared in Shoreditch, London. By many hailed to be Banksy’s self-portrait, I am surprised I couldn’t find anybody who pointed out that this piece, clearly taken from the ‘Jamaican photo’, must be the artist’s way of scoffing at your credulousness.